Delicious Cauliflower and Apple Soup! We absolutely love soup recipes; there’s (almost) nothing better than cosy’ing up by the fire with a steaming bowl of soup and crusty bread slathered in salty butter! Every season we aim to put at least one soup dish on the menu, usually two and they are always vegetarian or vegan. Leave out the butter for this recipe and you have yourself a lovely vegan soup recipe to add to your repertoire! This unusual flavour combo of cauliflower and apple is something that we definitely wouldn’t usually put together, but it is a combination that just works. We promise once you try it, you’ll love our cauliflower and apple soup! Caramelised cauliflower and sweet apples make this hearty and healthy soup a winner for a light winter lunch or a great way to start off a dinner party three course meal. This recipe has made it onto our New Year’s week special menu, and if you would like to try it out in one of our fab chalets in St Martin de Belleville then take a look at our New Year’s Ski Deal special offers! Alternatively, this delicious and easy soup recipe can be enjoyed as part of our self-catered ski chalet meal delivery service! Why not check out our other Vegan Recipes such as these vegan blueberry pancakes or our winter warming vegan chestnut & spinach tart! 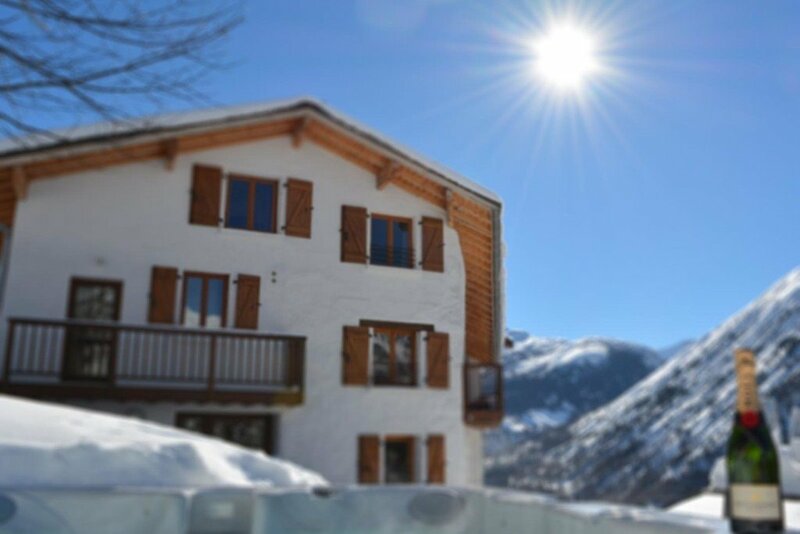 Also, take a look at Chalet Angora, Chalet Coton, Chalet Tweed and Chalet Velours, our portfolio of luxury self catered chalets in St Martin de Belleville.